Spring 1945: WWII may be crashing to a close, but Jessica and Liz Minton’s hopes for the future are short-lived as they become entrapped in a noir world of intrigue and murder. Jessica’s beloved is missing in action in Europe, leaving her on her own to save herself and those she cares about from the shadows of a dark past entangling them in false identities, a cut-throat search for stolen jade, and murder. Join Jessica and Liz as they strive to restore a friend’s family honor, to save Elizabeth’s love from the deadly frame-up of a predatory socialite with underworld connections, to outsmart two dogged detectives, and to deal with an F.B.I. agent from Jessica’s past with secrets of his own – all without getting themselves killed! It’s enough to make Dusty the cat’s fur stand on end! Take a sneak peek at Letter from a Dead Man. And click here for another peek! Dusty would want you to! Click here for a romantic scene that I had to cut from the final version of Dead Man. 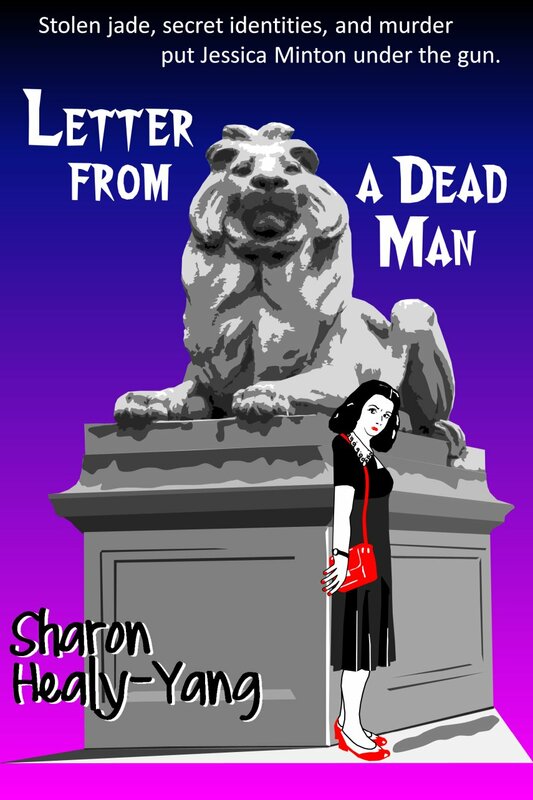 Letter from a Dead Man is available in Kindle or paperback!